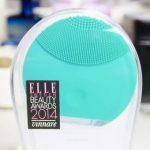 For the last two months I have been testing out Foreo’s Luna Mini facial cleansing brush. This cleansing brush aims to keep your complexion in optimum condition with the use of T-Sonic technology and a unique, ultra-hygienic, silicone brush. The Luna Mini claims to unclog pores and remove dead skin cells for a brighter and healthy appearance. 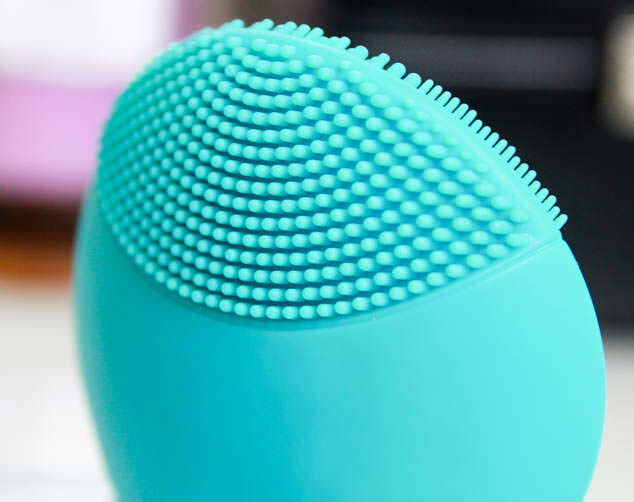 I chose my silicone facial cleansing brush in turquoise but it is also available in shades magenta, petal pink, purple and grey. 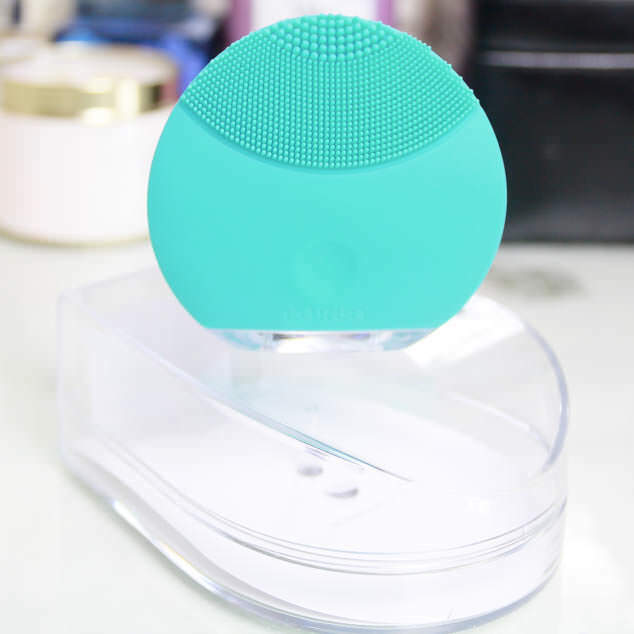 The Luna Mini channels up to 8000 pulsations per minute, this gently removes dead skin cells and unclogs pores of dirt, oil and make-up residue. Unlike other cleansing brushes this uses a hygienic nonporous brush that is resistant to bacteria build-up. This also means that there is no requirement for pricey replacement brush heads. The design is compact, portable and travel-friendly as well as being fully waterproof. It has lasted for me on one charge since using it and is intended to last up to 300 uses per full charge. The Luna Mini also comes with a 2 year warranty. The Luna Mini has two speed settings with lower frequency pulsations to reduce signs of aging and has an area of thinner touch points for a gentler cleanse on the cheeks as well as a thicker area for area’s such as t-zone. Although it gives a deep cleanse it is also a gentle one so is suitable for all skin types and for use in a daily routine as it improves absorption of skincare products. Use the Luna Mini in both the morning and evening in place of your cleansing routine. The cleansing brush only takes a minute of use and lets you know when to move onto a new section through vibration. I have breakouts on my cheeks mostly so this is the area I focus on, then move onto the other areas of my face. Whilst using this I have had far less breakouts and my scarring left from previous blemishes have been reduced. It is very simple to use, quite relaxing and it has made such a dramatic improvement to my skin. I often use it in the shower as it is waterproof which saves me so much time in the morning. You charge the Luna Mini through a USB cable so you also don’t need to buy batteries on repeat. The Luna Mini is available at ASOS, Boots and Very.